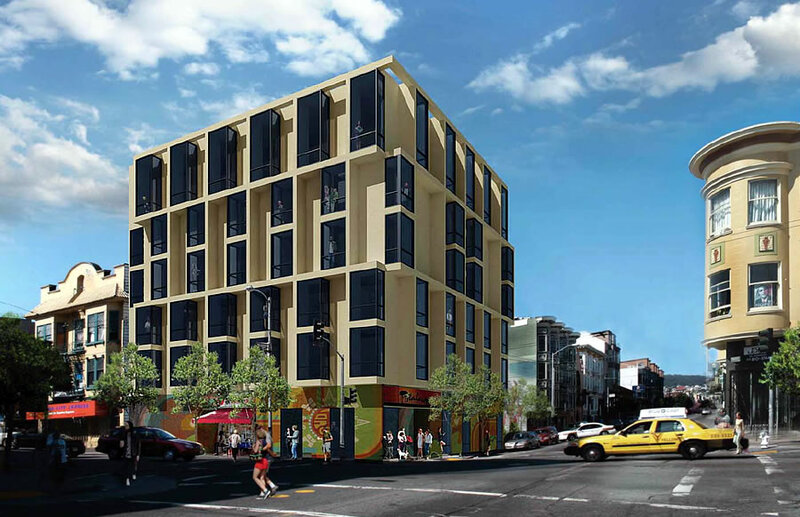 Having already been redesigned to look “less upscale” and eliminate its garage, the proposed redevelopment of the “One $ Store” parcel on the southwest corner of Mission and 17th Streets was subsequently challenged by the Mission Economic Development Agency (MEDA) for the potential loss of a “low-price-point community-serving retail” establishment and the number of condos within the development to be offered at below market rates. 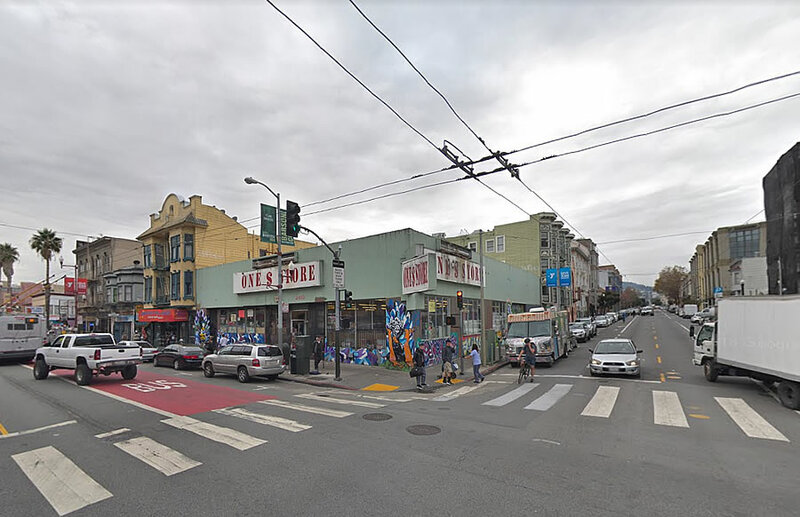 In response, the project team asked the operator of the One $ Store to consider returning to the future retail space, with a below market (but above current) rent, but the operator declined. Goodwill, however, has been approached by the project team and is currently “expected” to sign a lease for the future space. 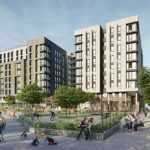 At the same time, while the total number of condos to rise above the retail space has been reduced from twenty-nine (29) to twenty-seven (27), the code compliant number of units to be offered at below market rates (12 percent) remains at three (3). Having subsequently agreed to provide four (4) of the twenty-seven (27) residential units at below market rates and offer the ground floor commercial space “to a lower-price-point, community serving business,” at a reduced rate and for a term of 50 years (for which Goodwill has inked a letter of intent for up to 25 years and MEDA has secured the right to select the future tenants), the proposed development to rise at 2100 Mission Street, as rendered below, was approved by Planning. And while building permits for the project have been requested, and the One $ Store is currently operating on a month-to-month lease, the corner site and plans are now on the market with a $5.5 million price tag rather than positioning to break ground. Pay all the impact fees, permit fees, and in exchange I get to offer 24 bland units at market rates above the same thrift shop? Sure seems like a good use of money when I could go put it in a diversified basked of securities that I have to check one a quarter. Congratulations on the entitlement. I would want to pass along this bucket of slop too. Great job extracting concessions, MEDA. Keep the Mission poopy! Good luck with the sale. Looking forward to the price reduction article from SS in 4-6 months. I guess it’s either five or six floors. So construction will cost more. It just gets better and better. Well done analysis, a basic concept most are unable to grasp. So ugly. I’d be willing to bet this will never get built, and we’ll get something taller next cycle. Extortion is still a big racket in San Francisco. But in a twist from the old days, the city promotes rather than prosecutes it. Hopefully it gets a design refresh before anything moves forward. San Francisco should outlaw beige. It’s ugly, and MEDA wanted ugly. God forbid we build anything attractive that people get excited about living in. Have to give them credit for at least recognizing market pricing as influenced by aesthetics. Wow! When was the last time you saw a Yellow Cab? A Crown Vic, no less. How old is this rendering, exactly? It’s not as ugly as some. It kind of looks like several 1970s-era medical-dental clinics stacked up in a pile. Still, it’s vastly superior to the hideous retirement facilities and the occasional TODs that get built in the suburbs.